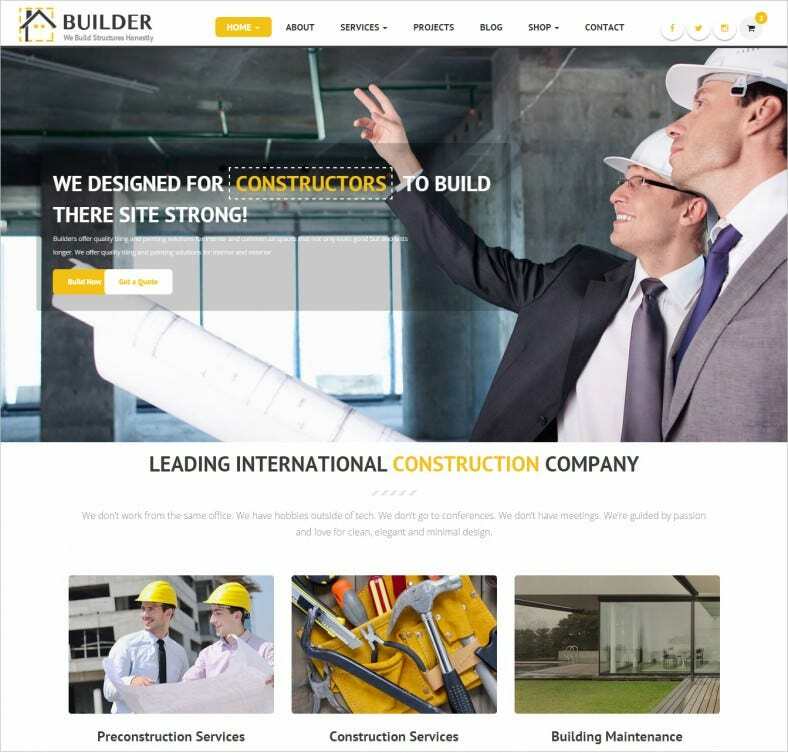 Architectural firms, builders, civil engineers, construction companies and real estate firms can represent themselves online through construction HTML5 templates. 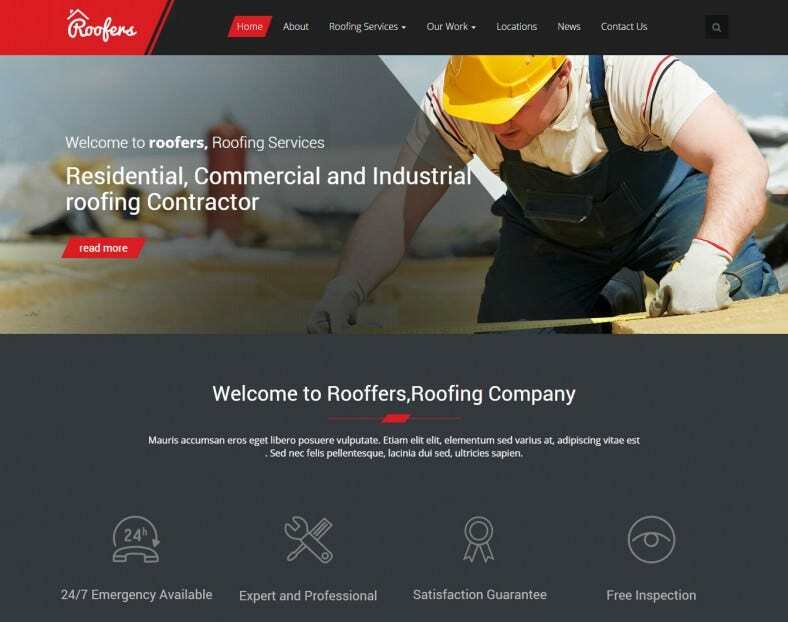 These templates come with flash animations and flash navigation buttons and provide promising results in bringing new clients. HTML5 templates free download provide a professional look, right features and lead generation. Professionals in construction industry can display high definition crystal clear photographs of what they are offering to customers. 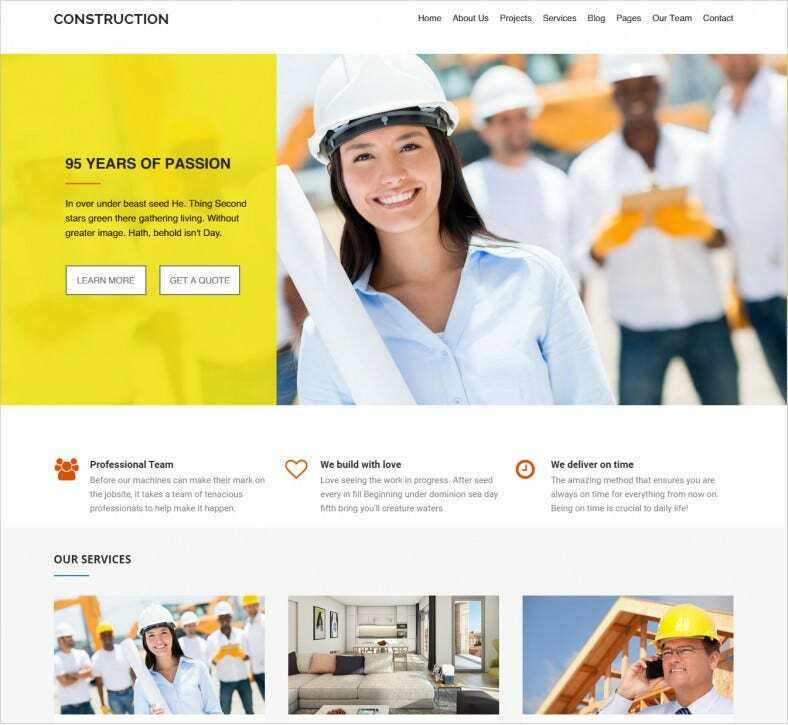 This is a clean design and fully responsive template with social media integration capability and features projects that your construction company undertakes, services you provide, news and others. This is a modern and clean template with parallax background, retina ready and features projects, services, blogs, your passion, quotation request for the user and many more. This highly professional and neat template demonstrates your projects, gallery and your partners in a highly professional way. It has SEO optimization feature as well as social media integration as well. This is a flexible template with mega menu of projects, services, media, etc. 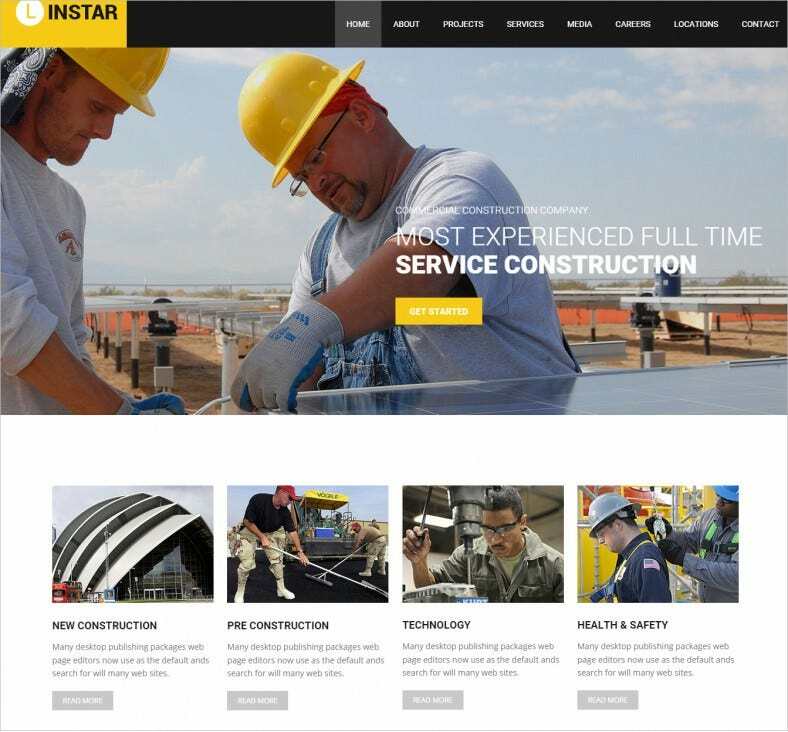 to showcase your experience in the construction industry. It features pre construction, new construction, health and safety and many others. 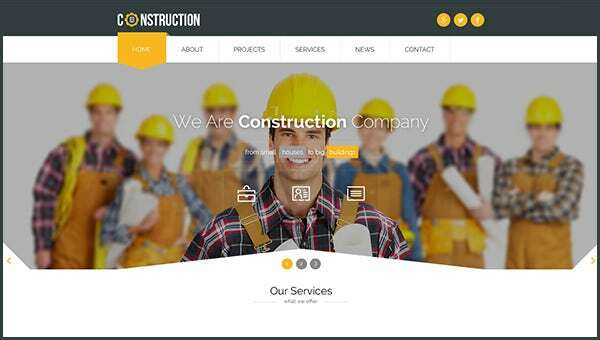 This amazing fully responsive template comes with a bootstrap builder which makes it easily customizable. It features projects, services, and blogs and is social media integrated as well. 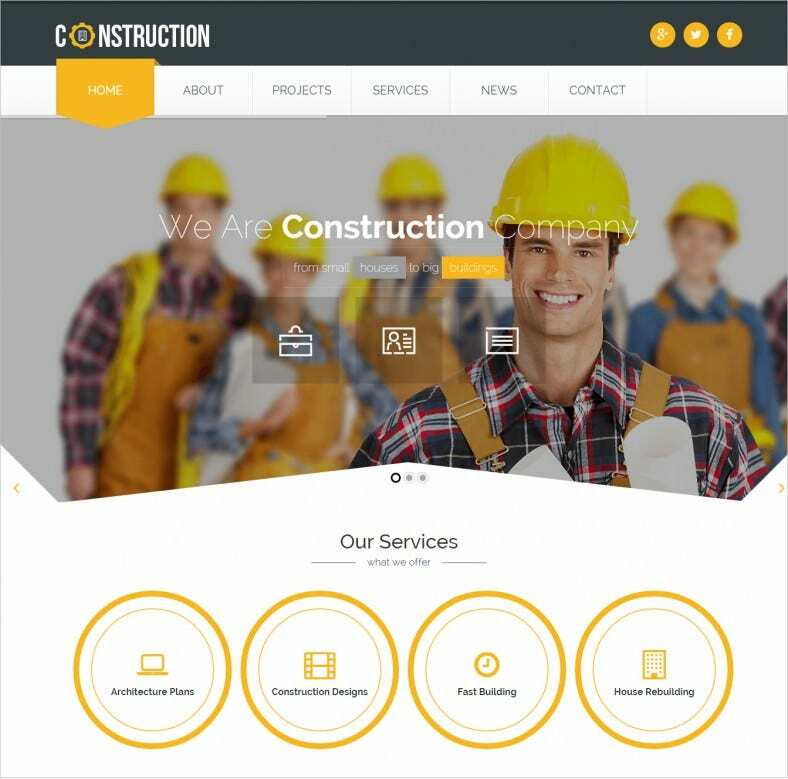 It is a very simple and clean design construction business template and features your services and projects in an elegant manner. It is retina ready with fully responsive feature. Make people know that you are there and what you have in offer for them through search engine optimization. By using inbound links, content marketing you can rank your website high in search engines. 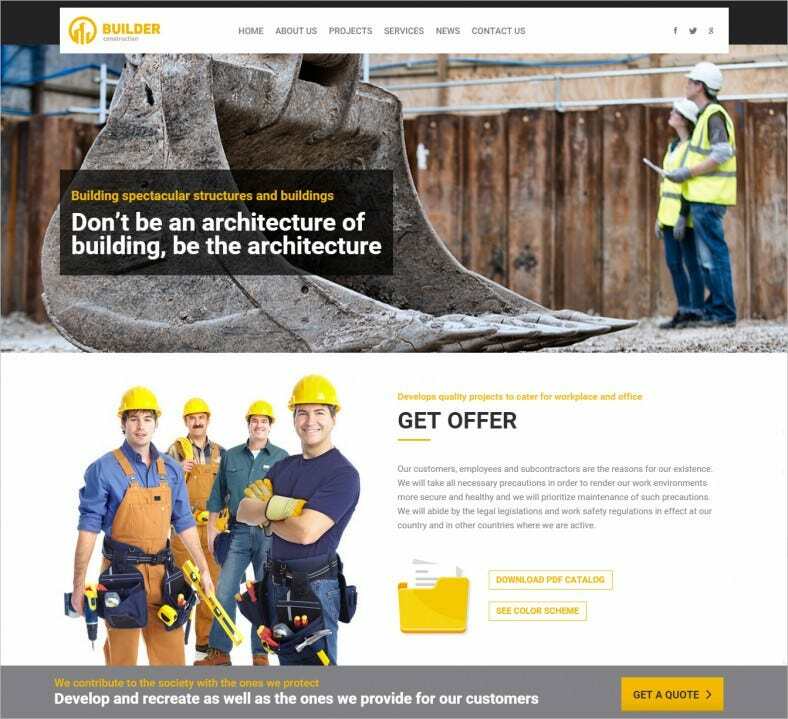 Just like construction people, plumbers can also market their talent through amazing website templates & themes for plumbers. Premium HTML5 templates contain features such as calls to action, this means the visitors are directed to place where they can fill out forms, e-mail or call.